Smart homes have finally improved enough that having a home that responds to your every wish and command is almost within reach. The problem, is that unless you are a Hollywood movie star or the offspring of an oil baron, retooling your house to smarten it up is too expensive to do all once, which means you’re going to need to tackle things piece by piece. And out of all the intelligent improvements you could make, smart lighting lighting is probably one of the best upgrades you can make. For those living in apartments, this can be achieved by replacing just a handful of bulbs. But if you live in something bigger than one bedroom, with smart bulbs ranging from Ikea’s $20 options to $50 a pop for some of Philip’s Hue expensive colored bulbs (not even counting any hubs or extra routers you may need), that proposition can get pricey fast. This what you get in the starter kit. That’s where Noon wants to come in. Instead of replacing your bulbs, Noon Home hopes to improve your lighting by replacing the switches on your walls with smarter wi-fi connected alternatives. For $400, the Noon Smart Lighting Starter Kit includes a master Room Director Switch and two extension switches. That might not seem like a deal, but when you consider that all the bulbs in one room can be controlled by a single switch, this could be a much cheaper option than getting new bulbs for every fixture in your house. These are the core pieces of the switch that gets installed in your wall. The obvious caveat is that this process involves ripping out your existing switches, face plates and electrical boxes and installing new ones (goodbye deposit). That’s just a little bit more of a commitment than screwing in a few lightbulbs. But at least if you go the DIY route, you won’t have to pay someone else to do it. If you’re simply not the handy type, Noon says it is partnering with InstallerNet, a service that connects installers with customers for a fee, to connect home-owners with professionals who should be able to get the job done. 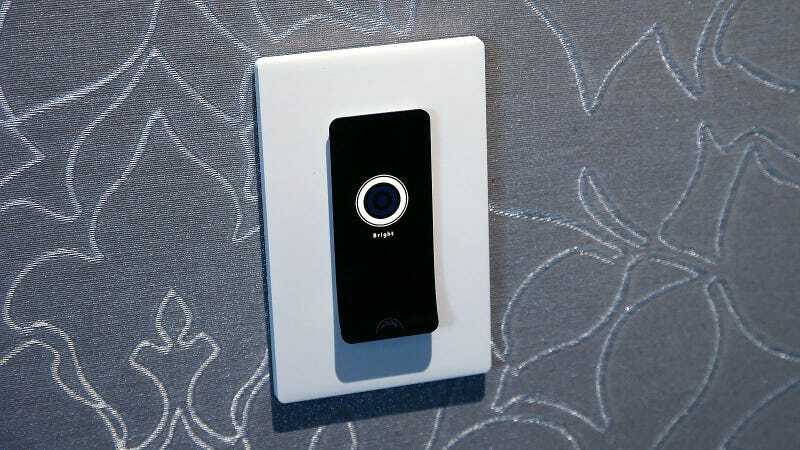 The real magic should happen once the smart switches are installed. Noon claims its bulb discovery tech can automatically detect the types of bulbs you are using so that you can use Noon’s mobile app to group various fixtures together, create different lighting scenes and adjust their brightness, all while minimizing the flickering and popping you often get from old-school dumb bulbs. No more dimmers or trying to remember if your new bulbs are the same wattage as your old ones, Noon should do it for you. Noon’s app can also learn from your behavior, so that when you go on a trip, you can activate Vacation Mode and have the system turn on lights to mimic how things would look if you were actually at home. And like seemingly every other piece of smart tech in 2017, Noon’s system supports voice controls via Amazon Alexa. After installing the switches, Noon’s app (available on iOS and Android) runs through a quick tutorial so that it can identify each bulb and what fixture its in. The primary Room Director switch, which functions as a master control of sorts, also sports a built-in LCD screen that allows users to switch lighting scenes just by swiping left or right on the display. It also features a motion detector, which can be used to activate Night Light mode whenever you walk by—handy for those late night trips to the bathroom. When I tried the whole system out installed at an apartment in New York, switching between various lighting setups and brightness took just a couple swipes and a tap, and the smartphone app actually seemed a bit more well-rounded compared to something like the Phillips Hue app. However, I found myself wanting to have a more than just a single Room Director, even in the small test apartment, so I could have the motion detection cover a larger portion of the living space. The problem is that the Room Director’s $200 price tag really forces you to decide how many you actually need. Noon says one Director per floor should be more than enough for most homes, but I’m not sure if it would be enough for me. If you’ve done the math and Noon seems cheaper than a smart bulb solution than Noon’s switches will be available online and from major retailers including Best Buy and Home Depot. Individual Room Directors and extension switches will also be available separately for $200 and $100, respectively.